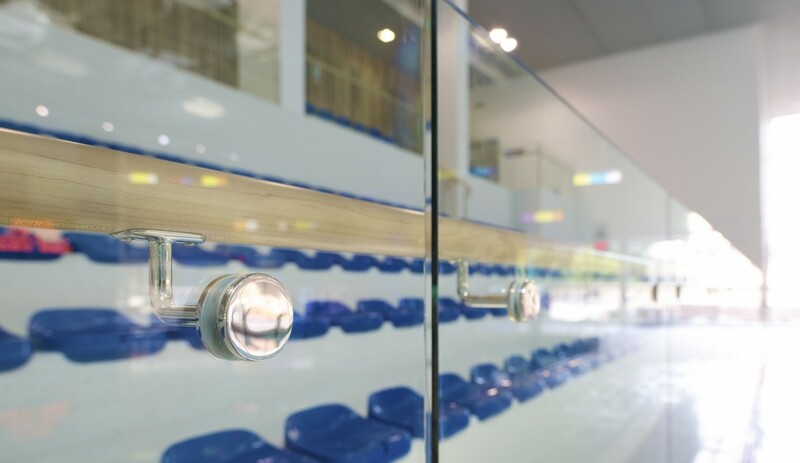 Another upmarket leisure centre development on BA Systems project portfolio is Glass Mill Leisure Centre – Lewisham’s flagship leisure centre on Loampit Vale. 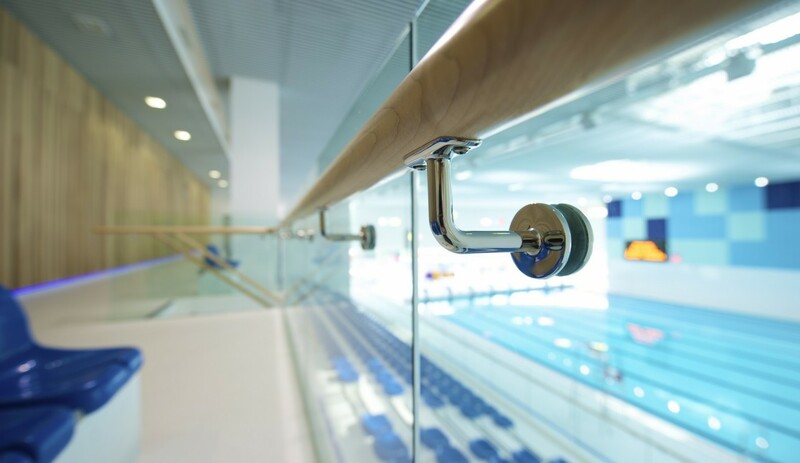 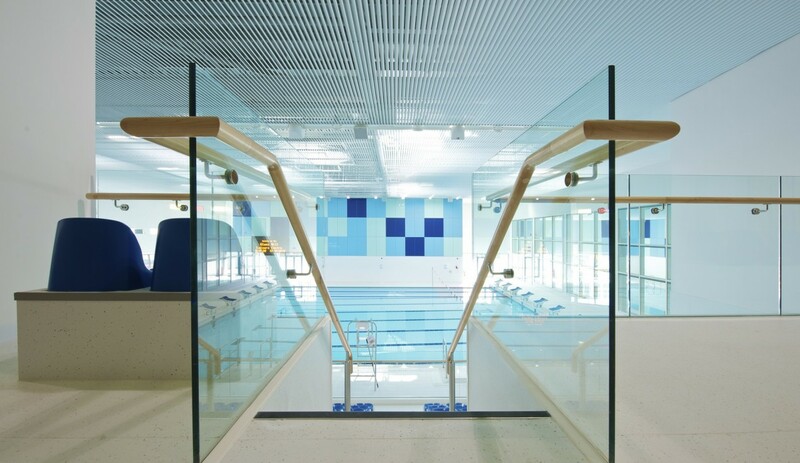 B40 structural glass balustrading was used extensively in the pool areas, creating a seamless, open and clean atmosphere – an essential part of the swimming pool environment. 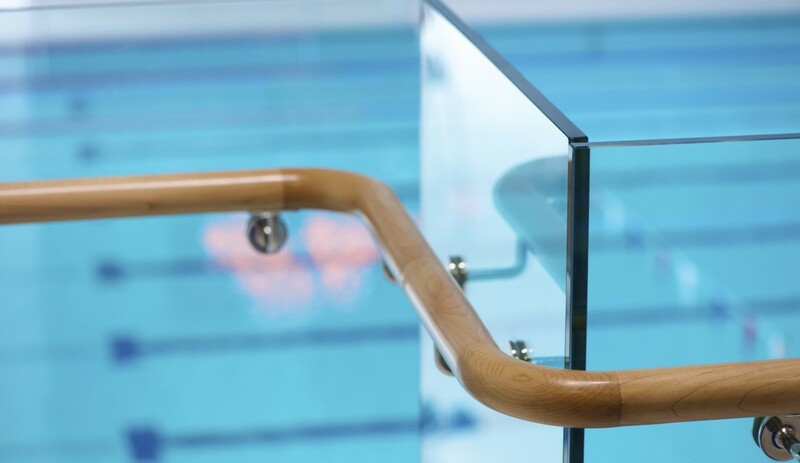 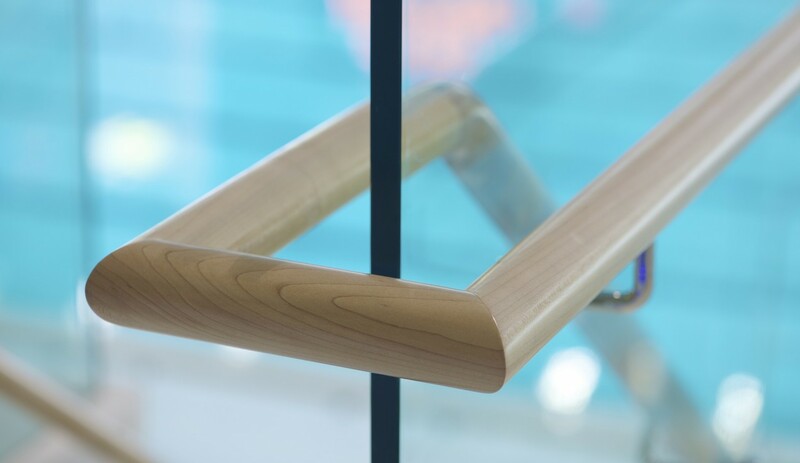 Complementing the B40 structural glass balustrading and providing a subtle natural touch are B10 Hardwood round handrails in light Maple, beautifully finished providing a sense of warmth, all securely attached to the glass with mirror polished stainless steel brackets. 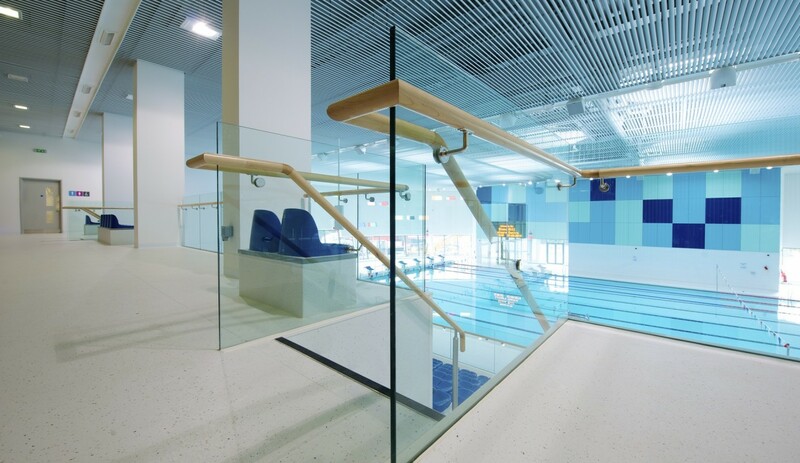 The result is another stunning example of high quality balustrading and workmanship that BA Systems have become known for in the construction industry. 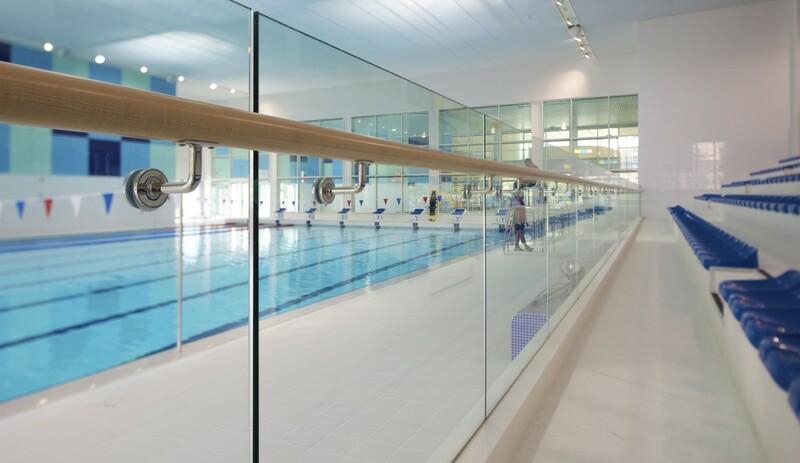 Due to the highly corrosive atmosphere of a swimming pool, it was essential that the correct materials where specified and finished to the highest of standards on this project – this was achieved on time and within budget.